Anticlimactic is the most succinct way to describe Conan The Barbarian #21 I can say little more than that without spoiling the whole book. 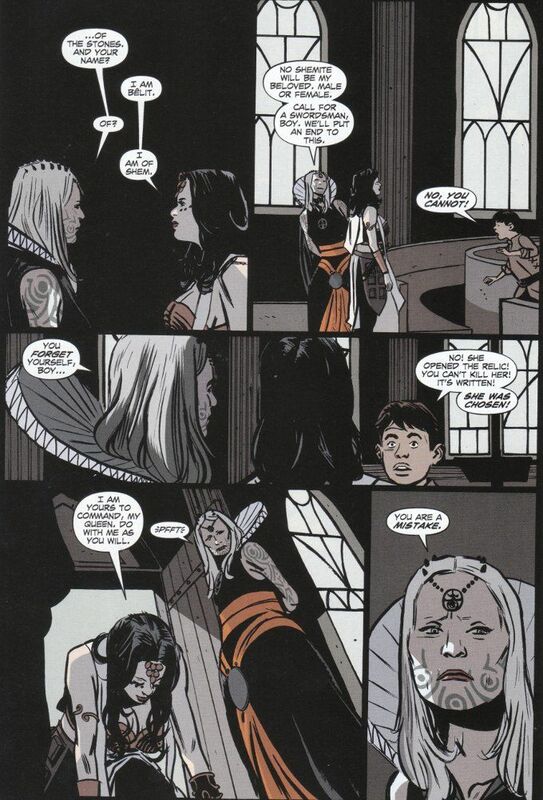 I can say that little is made of last issue's cliffhanger, which saw Belit possessed by some spirit/deity and declaring her love for the evil sorceress whose cult has been hounding Conan and Belit for the past two issues. Brian Wood's script tries to inspire the unknown horror of a Lovecraftian mystery cult but fails to provide enough details to evoke the proper mood. Another problem with this issue is its' treatment of Belit, reducing her to a damsel in distress role and only allowing her true personality to emerge in the final pages. Even then she has no dialogue! The only sequence that truly works depicts Conan escaping his pursers by showcasing the Cimmerian's hereunto seen ability to make friends with wolves. The artwork of Paul Azaceta and Dave Stewart continues to be this book's weakest point. 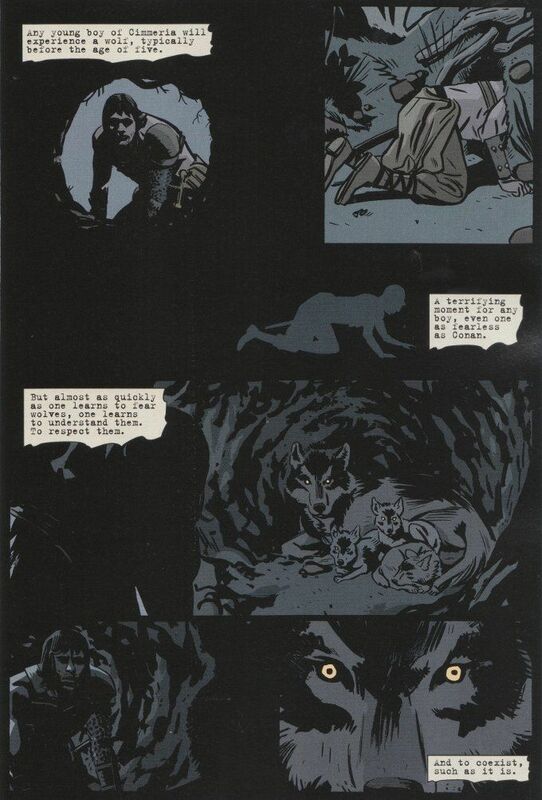 The sequences in the wolf caves are quite effective and Azaceta's tendency to over-ink and Stewart's dark palette work well in this context. The rest of the book, however, looks dark, dull, drab and lifeless.